I had a much different 6 Thoughts planned for yesterday. Most of them were thrown out the window with the bad news that came down about Ian Book. The only good news with this? 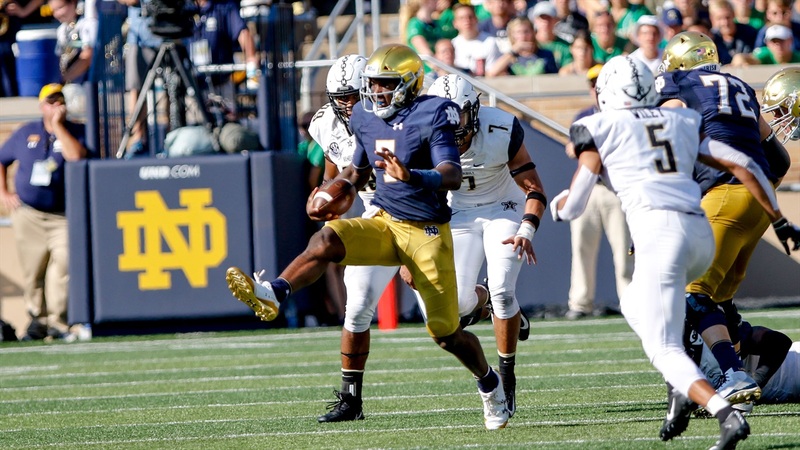 I have some leftover thoughts that I meant to share prior to learning about the Book injury and some additional thoughts on Brandon Wimbush. There is no point in holding on to them so I figured I might as well add in another five on a Friday. Everyone knows that Wimbush is a different player than Book and Chip Long is going to have to adjust the game plan accordingly.